Good Morning! The Red Bulls are back in action today and it's an early one (1pm ET) @Toronto. The Red Bulls are coming off that tough home loss against the Los Angeles Galax, while TFC is coming off a mid-week home win against Mexico's Cruz Azul (in CONCACAF Champions League Action). BMO has been a virtual fortress for TFC and the Red Bulls would be lucky enough to get out of Canada with a point. Also, Toronto is breathing down the Red Bulls neck for that all-important 2nd places spot in the Eastern Conference. A TFC win would put the Canucks just 2 points behind the Red Bulls. With all that in mind, let's get to some predictions. I'd like to predict a 3-0 Red Bulls victory, but at the moment I have no faith in this team to produce a big result when it counts. 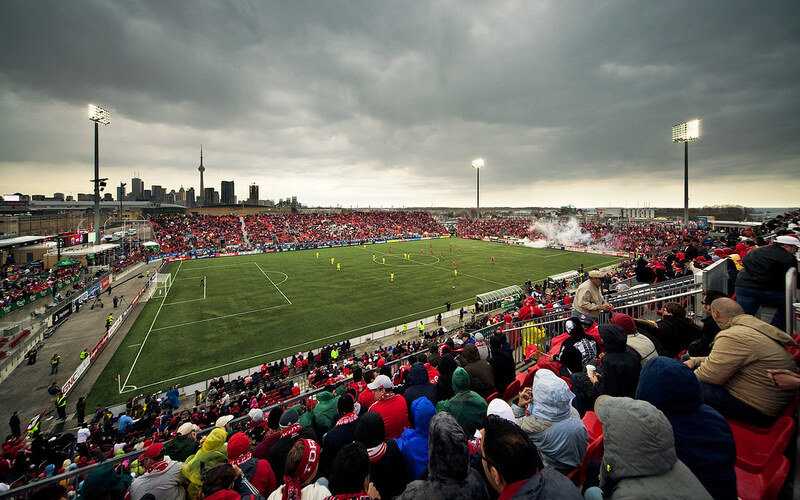 Then there's the fact that TFC are playing at home, where they haven't lost in forever. Until the Red Bulls show me something I'm going to be Mr. Negative. I know defeatism is punishable by death, so I suppose I should be preparing my will. 2-0 TFC. Goals by De Rosario and Barrett. I'm going to go with a Red Bulls victory here. Yes, I know that Toronto hasn't lost up there in forever, but I'm thinking that Henry is due and this game might be his MLS coming out party. Final score: Red Bulls 3, TFC 0. One of these days, the new additions to the Red Bulls roster are going to gel and steamroll an opponent. One of these days, Toronto FC will lose a meaningful game at home. Today is not that day. However, while taking all three points would be huge for the Red Bulls, getting one point and keeping their five point lead over Toronto is not too shabby at this point in the season. The match will be a 1-1 draw. Henry finally scores one that counts. Say it ain't so YSC! What happened to "Defeatism is punishable by death"? Jeez, I sure hope Mr. Backe doesn't see this. Well, anyway, we'll be back in the next few day with our expert commentary. Viper Out!